In 2014, HJ’s British Hairdressing Awards sponsored by Schwarzkopf Professional cleebrate 30 years as the worlds number one hairdressing awards ceremony, recongnising and rewarding the very best of British Hairdressing Talent. In 2014, HJ’s British Hairdressing Awards sponsored by Schwarzkopf Professional celebrate 30 years as the world’s number one hairdressing awards ceremony, recognising and rewarding the very best of British hairdressing talent. Throughout the awards 30 year history, 15 hairdressers have won the prestigious title of British Hairdresser of the Year and from Trevor Sorbie, John Frieda, Anthony Mascolo and Nicky Clarke to the 2013 British Hairdresser of the Year, Akin Konizi –these individuals and our celebrated regional and specialist group winners have shaped the way we wear our hair today. Winning a British Hairdressing Award is the benchmark for creativity and innovation in cutting, colouring and styling and to enter hairdressers throughout the UK select the regional or specialist category they wish to enter and present a collection of four images for the first round judging. Judged anonymously with the results collated by a team of independent auditors, only the most qualified hairdressers are invited to judge the collections in the regional categories – Eastern, London, Midlands, North Eastern, North Western, Northern Ireland, Scottish, Southern, Wales & South West or the specialist categories – Afro, Artistic Team, Avant Garde, Men’s, Newcomer and Schwarzkopf Professional British Colour Technician. Six finalists will be chosen in each category and asked to give a further four images creating a collection of eight which will be judged by hair specialist press and the most respected creative hairdressers under the same strict guidelines as in the first round. The work of those nominated for the British Hairdresser of the Year title will also be judged at this stage, having submitted a collection of eight exclusive images together with an extensive professional CV. The winners will be announced at a glamorous black tie event, hosted by a well-known media personality on Monday 24th November 2014 at The Grosvenor House, a JW Marriott Hotel. With the excitement and build up to Christmas and the New Year sadly over, many people fall into January feeling sad and browbeaten, with nothing to look forward to. However, planning a holiday can help boost moods and beat the January blues. Travel retailer MrLuggage.com take a look why January is a good time to plan a holiday. According to HolidayLetExchange.com, last year 20% of people had booked a holiday within the first month of the year (the highest throughout the year), and this was put down to January being one of the depressing months of the year and people wanting to have something to look forward to. Having something to plan, write in the diary and get excited about does help improve positivity and increase happiness. Booking the holiday time in at work will also be a lot easier in January opposed to in April, as not a lot of people will have secured them yet, leaving the best dates still available. For families there will also be more choice when it comes to choosing seats on flights and family rooms. Booking in advance also leaves more time to save money and fully plan what activities there are on offer. Therefore it will be much easier to budget and make sure that nothing is missed out. So if you are feeling the January blues, then get looking for your next getaway. And if christmas has made an impact on your waistline see our exercise tips for the new year coming soon at Sataloma Online. Emile Sandé and Ben Howard cleaned up at this years Brit Awards. 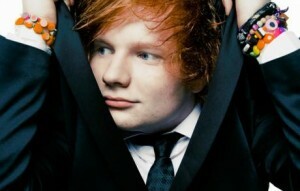 Another new year, brings in another awards season, starting in the UK with the annual visit to the Brit Awards. 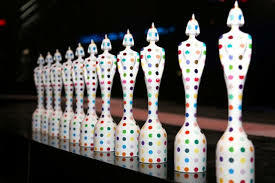 The Brit Awards haven’t always been famed for being the best awards show of the season, but progression of the event over the past few years, is showing that it is just gets better and better, with bigger and better performances, and more and more worthy winners. The venue looked amazing this year with a metallic themed backdrop to the multiple stages put n place for british musicians, and singers from across the globe to receive their awards and for superstars to perform their latest hits. Hosted by comedian James Cordon, the Brits was a massive success. 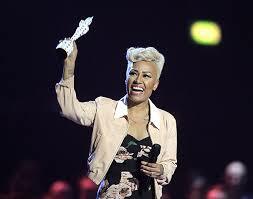 The big winners of the night came in the shape of Emile Sande, who picked up the award for best female solo artist. Nominated for three awards, this was her biggest accolade of the night, being up against some huge competition in the category, she also won MASTERCARD British album of the year. 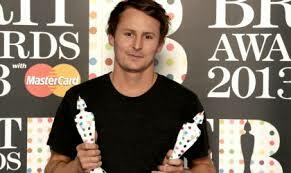 best group went to the very popular Mumford and sons, best male solo artist was Ben Howard, who also won best breakthrough act. 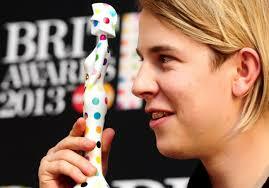 The critics choice award went to piano playing solo singer Tom Odell. big performances came from Taylor swift, One direction and Emile Sande, Taylor’s big production of ‘I knew you were trouble’ was one of the biggest moment of the night, the staging was big and loud, and the performance was in true Taylor style, flawless, Justin Timberlake took to the stage to perform for the first time in the UK since he got married, earlier last year. The night was sewn together well, hosted by comedian James Cordon introducing some huge names, handing out awards to this years winners. check out some of the moments from the night. 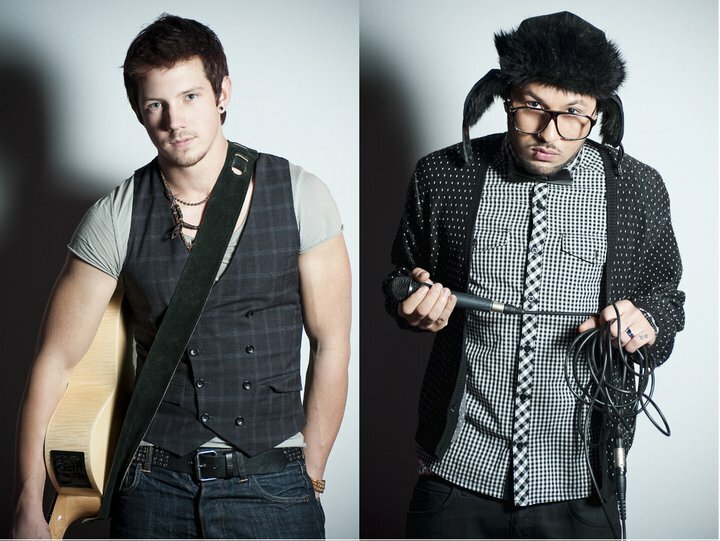 Urban band De’Vide are still making waves and music across the UK. two piece band De’vide featured in Sataloma Online last year, are one of the hardest working bands, to come out of the British music scene, and their hard work is paying off, reaching the boot camp stage on ITV’s the X factor, continuing to make a big name for themselves performing live regularly, and appearing on many radio stations, and even filming their own fly on the wall documentary. The winner of this year’s BFC Vogue Designer Fashion Fund is Nicholas Kirkwood. 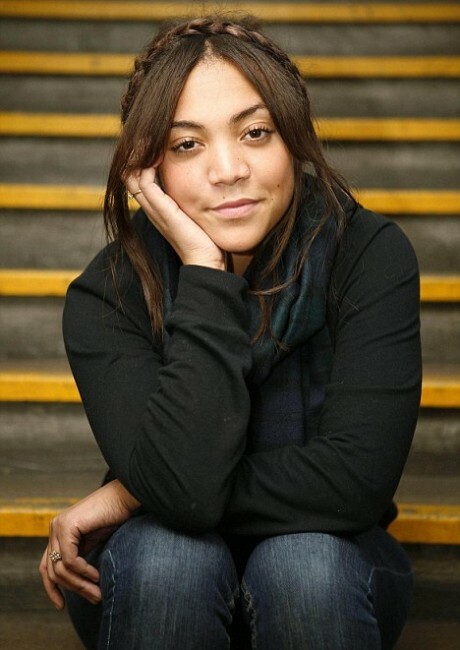 The Award, which is now in its fourth year, was established to further enhance the reputation of London’s rising stars and assist in the development of their businesses. It is comprised of £200,000 and access to key senior level mentors across the UK fashion industry. The choice to award Nicholas was based on his and business partner Christopher Suarez’s extremely professional 3 year plan and presentation at interview. Nicholas has demonstrated exceptional skill in building a modern, individual and recognisable accessories line and was very clear on his business growth strategy and the key challenges he would like to address with the support of the Fund and its advisors. The BFC will develop a bespoke mentoring programme tailored specifically to assist Nicholas to achieve his business goals for the next 18 months, with the aspiration that the network developed during this mentoring year will endure throughout his career as he makes the transition from a developing creative business into a global fashion brand. All of the shortlisted designers, including Emilia Wickstead, Mary Katrantzou, Roksanda Ilincic and Peter Pilotto, will be invited to participate in the Fashion Trust mentoring programme for a 24 month period. The British Fashion Council would like to thank those supporting the Fund: Burberry, Clothing at Tesco, Debenhams, Harrods, LF Europe, Marks & Spencer, Paul Smith, TOPSHOP and VOGUE. show – Video Honours Results – which will feature live video links of the winners accepting their awards. The 2012 Video Honours Awards will kick off on Saturday 27th October for a three-week period, with the voting period live until midnight on Friday 16th November. Fans can head over to 4Music.com to vote for their favourite artists. 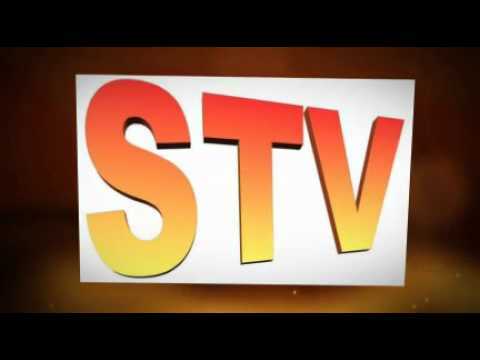 Video Honours Results Show – Saturday 24th November at midday. 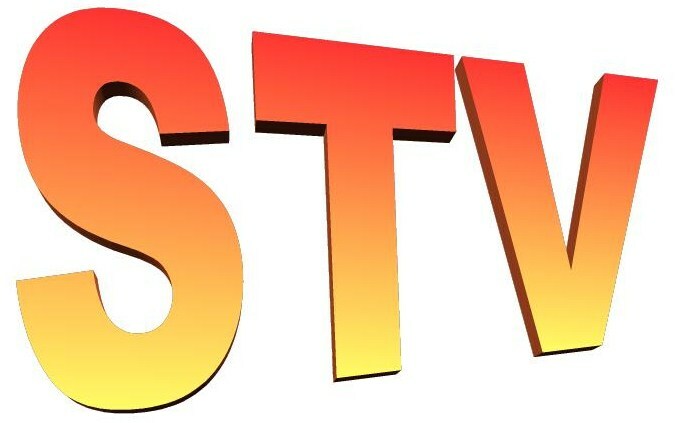 Video Honours Best Video Top 20 – Friday 30th November at 6pm. change are completely unaware of it. 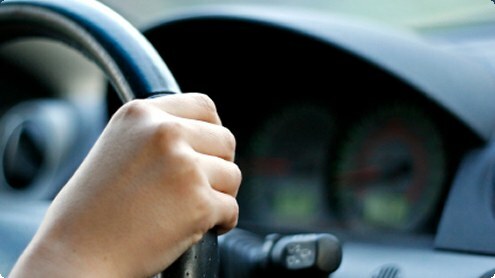 More than half (51%) of those surveyed were unaware of the Directive at all. 20% that it came in earlier this year. involving men under 21 cost 48% more than those involving women under 21.
compared with 56% who think women are safer. 37% believe they are the same.